Given his academic and professional background, Yuri Minagawa has the skills and the credentials to start any business he wanted. Armed with a Management degree from the Royal Holloway University of London, Minagawa has been the sales and marketing force behind his family’s business since 2011. However, Minagawa got the franchising bug when he heard of Shawarma Shack back in 2017. “I have been constantly reading about other people’s success stories in operating franchises of successful brands, and how they have utilized these franchises as their additional source of passive income to supplement their main source of revenue,” recalls Minagawa. 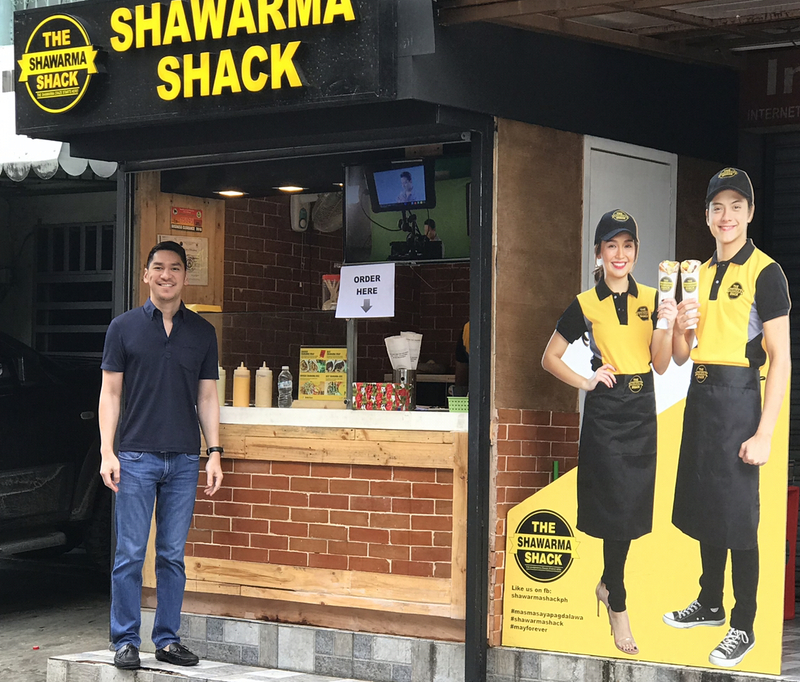 Shawarma Shack, which started out as a humble food cart in Divisoria, eventually grew into a formidable up-and-coming food franchise in the country. 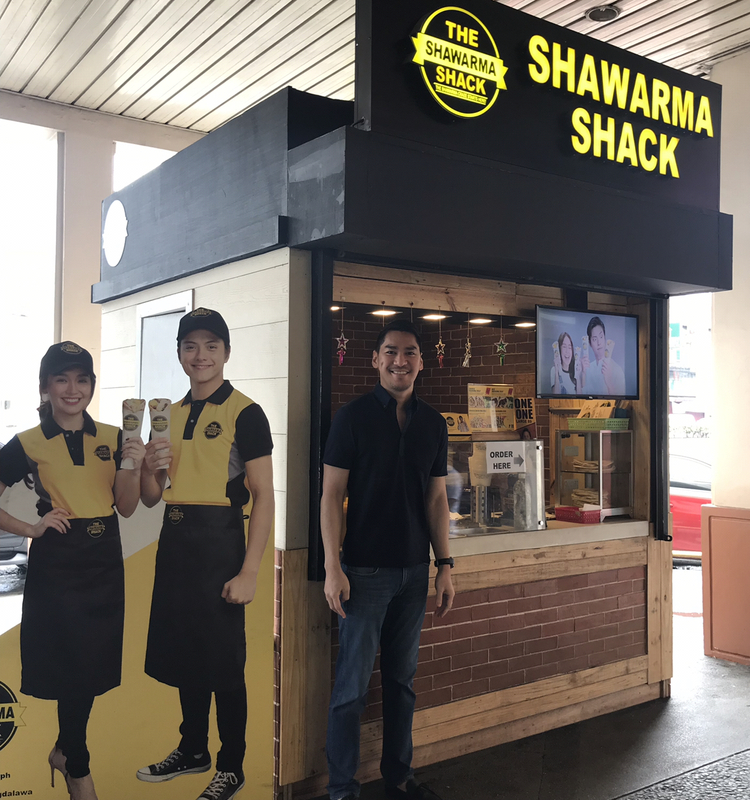 Realizing the shawarma brand’s growth potential, Minagawa applied to become one of Shawarma Shack’s franchisees in 2018. Today, Minagawa owns three branches of Shawarma Shack, with plans to own a total of seven branches by the end of 2019. “I believe in Shawarma Shack and its products, its efficient and effective franchising and marketing system, its proven track record of successful franchise operations, as well as the professional and amiable people behind the brand,” says Minagawa. It is this same effective franchise system which allows Minagawa to continue managing his family’s business while operating his three Shawarma Shack branches. For Minagawa, choosing between starting his own business and investing in a franchise business was not a tough call to make. “There are inherent commercial risks and time commitments involved in starting up my own food business or brand,” says Minagawa. “However, tapping an existing and proven successful franchise system with all the necessary components in place—such as a developed supply chain, a proactive marketing system, and an accepted food concept—helps alleviate the commercial risks and time commitments involved in setting up a new business,” explains Minagawa. While he remains hands-on, both for his family’s business and his own franchise businesses, Minagawa realized that his franchise businesses actually required less work from him to be able to run on a daily basis. “With the franchise business, I can rely on the franchise system already in place and just have the appropriately skilled colleagues to operate its day-to-day activities for me and just coordinate with me during scheduled meetings,” says Minagawa. “This is actually where the charm of the franchise lies: by trusting the system, the franchisee allows the best practices of the business to take full effect and manifest its efficiency and effectiveness,” adds Minagawa. Even with three Shawarma Shack branches under his belt, Minagawa believes he still has a lot to learn. “I am still a student of this trade,” he says. Good thing he learned from the best in the business: his father. “My father taught me that running a business is not solely about making a profit, but also leaving a significant and positive impact on both my customers and employees,” says Minagawa. As a franchisee, Minagawa goes the extra mile to empathize and establish rapport both with his customers and his employees. “Through my father, I learned that, as a business owner, I am an important source of a particular need—may it be as a source of income for our employees, or as a source of satisfaction for our customers,” says Minagawa. For 2019 and beyond, Minagawa will continue to explore other brands and products to franchise. “Hopefully I can create a portfolio of franchise brands that will yield a reliable stream of income for my children’s future,” he says. Minagawa’s biggest piece of advice for finding the right franchise to invest in? Still looking for that franchise you can grow old with? U-Franchise Sales & Management has helped thousands of Filipinos find the right franchise for them. To find your franchise match, visit our website at https://ufranchiseasia.com, or contact Velle Cacha at (+63) 917-5356983 and velle@ufranchiseasia.com.